Content is a show that is well suited for the road. The world of content is filled with an ever evolving blend of information, entertainment, and big bucks. The 2014 edition of the Consumer Electronics Show, now underway in Las Vegas, is drawing big names, both in entertainment and technology. John Legend and Sarah Silverman offered sponsored entertainment, and even within the tech giants’ legitimate announcements, the celebrity was luminous. Marissa Mayer’s keynote at CES puts the future of Yahoo as a far more serious content outlet. Mayer, who took over the online giant in 2012, tapped former network news star Katie Couric (her last gig was as a talk show host on ABC) and David Pogue, who made the jump from his position as the personal technology columnist at the New York Times. Pogue, a prolific book author, also wrote or co-wrote seven of the “For Dummies” series of books. Pogue and Couric joined Mayer at CES, lending their own trustworthy brands to the effort. It’s not just the quality of content. Mayer is also about delivery. Like every other prognosticator, Mayer believes in mobile. Yahoo recently acquired Aviate, which specializes in customized app suggestions for mobile users. Of greater relevance is Yahoo’s acquisition of Summly, a content summarization app that’s the basis for Yahoo News Digest. Stories are at headline depth, accompanied by relevant infographics and images. There is no doubt that Mayer’s aggressive push toward mobile is a smart move. 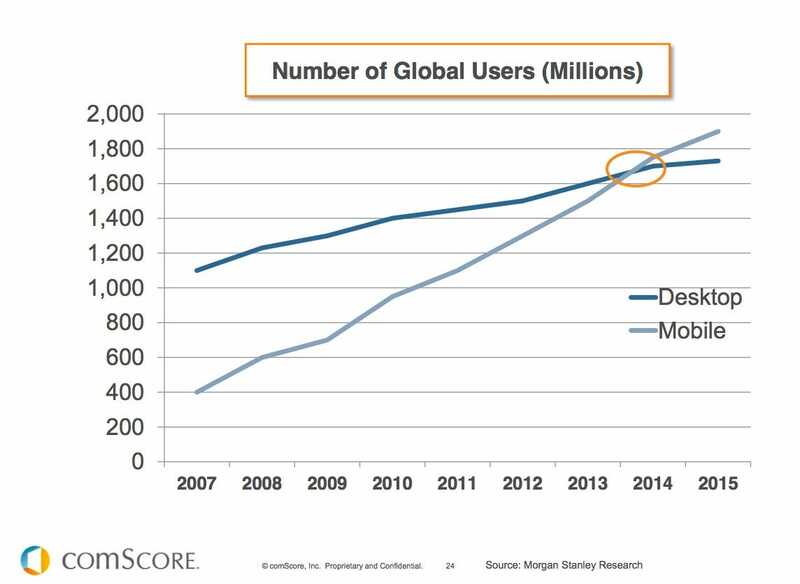 After all, analysts have long asserted that 2014 is the year mobile will overtake desktop Internet usage. Mayer knows that it’s a delicate blend of the right information, delivered in the right amount, to the right place, at the right time. While Steve Jobs once told Yahoo that it needed to decide if it is a tech company or a media company, it appears that Mayer will maintain a mashup, and that’s a good thing. These days, convergence is key. Content does not exist in a vacuum. It’s on a billion tiny screens. Are you prepared to deliver to the device?